Bu çalışma, farklı sektörlerde faaliyet gösteren rakip firmaların Twitter verilerini analiz ederek, firmaların Twitter verilerinin firmalara göre anlamlı bir uyum gösterip göstermediğinin tespit edilmesini, firmaların Twitter’da paylaştıkları içeriklerin kümelenmesini ve hangi içerik kümesinin en fazla etkileşime yol açtığının belirlenmesini amaçlamaktadır. Bu kapsamda, 2017 yılı boyunca kozmetik, elektronik ve pazaryeri sektörlerinde faaliyet gösteren rakip firmalar tarafından paylaşılan Twitter verileri, Sosyal Medya Madenciliği süreci izlenerek analiz edilmiştir. Firmaların Twitter verilerinin firmalara göre anlamlı bir uyum gösterip göstermediği Uygunluk Analizi ile tespit edilmiştir. Firmaların Twitter paylaşımları ise Metin Madenciliği ön işleme metotlarından faydalanılarak “Özel Teklif”, “Yarışma & Etkinlik”, “Ürün”, “Sosyal”, “Destek & Geri Bildirim” ve “Özel Etkileşim” kategori başlıklarıyla kümelenmiştir. Firmaların elde ettikleri etkileşimlerin büyük bir çoğunluğunun azınlıktaki paylaşımlardan gelmesi sebebi ile hangi içerik kümesinin en fazla etkileşime yol açtığı Pareto İlkesi yardımı ile belirlenmiştir. This study aims to determine whether Twitter data of the firms has a significant correspondence with respect to the firms, to cluster Twitter feeds of the firms and to find out which cluster has the maximum interaction through analyzing the Twitter data of the rival firms operating in different sectors. In this context, Twitter data shared by competitors operating in the cosmetics, electronics and marketplace sectors during 2017 were analyzed by following the process of Social Media Mining. The significant correspondence of Twitter variables of the firms was determined by the Correspondence Analysis. Twitter feeds of the firms were clustered with categories “Special Offer”, “Competition & Event”, “Product”, “Social”, “Support & Feedback” and “Special Interaction” by using a number of Text Mining pre-processing methods. Since the majority of the interactions obtained by the firms came from the minority of the feeds, which cluster received more interaction was analyzed with the help of the Pareto Principle. af Rosenborg, K., Christina, D., Buhl-Andersen, I., Nilsson, L. B., Rebild, M. P., Mukkamala, R. R., ... & Vatrapu, R. (2017). Buzz vs. sales: Big social data analytics of style icon campaigns and fashion designer collaborations on h&m’s facebook page. Asur, S., & Huberman, B. A. (2010, August). Predicting the future with social media. In Proceedings of the 2010 IEEE/WIC/ACM International Conference on Web Intelligence and Intelligent Agent Technology-Volume 01 (pp. 492-499). IEEE Computer Society. Bian, J., Yoshigoe, K., Hicks, A., Yuan, J., He, Z., Xie, M., ... & Modave, F. (2016). Mining twitter to Assess the public perception of the “Internet of Things”. PloS one, 11(7), e0158450. Bollen, J., Mao, H., & Zeng, X. (2011). Twitter mood predicts the stock market. Journal of computational science, 2(1), 1-8. Bonzanini, M. (2016). Mastering social media mining with Python. Packt Publishing Ltd.
Chae, B. K. (2015). Insights from hashtag# supplychain and Twitter Analytics: Considering Twitter and Twitter data for supply chain practice and research. 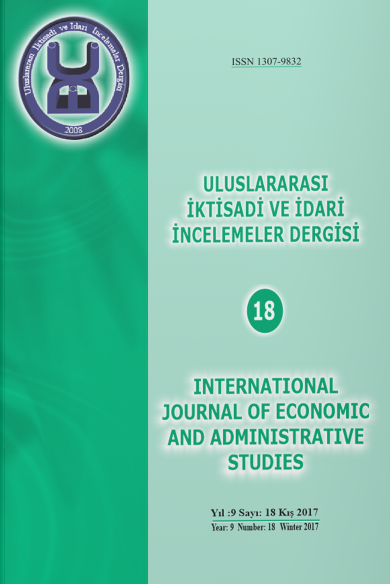 International Journal of Production Economics, 165, 247-259. Chatfield, A., & Brajawidagda, U. (2012). Twitter tsunami early warning network: a social network analysis of Twitter information flows. Çoban, Ö., Özyer, B., & Özyer, G. T. (2015, May). Sentiment analysis for Turkish Twitter feeds. In Signal Processing and Communications Applications Conference (SIU), 2015 23th (pp. 2388-2391). IEEE. Ding, C., Cheng, H. K., Duan, Y., & Jin, Y. (2017). The power of the “like” button: The impact of social media on box office. Decision Support Systems, 94, 77-84. Guidry, J. D., Messner, M., Jin, Y., & Medina-Messner, V. (2015). From# mcdonaldsfail to# dominossucks: An analysis of Instagram images about the 10 largest fast food companies. Corporate Communications: An International Journal, 20(3), 344-359. Ishikawa, H. (2015). Social big data mining. CRC Press. Kuflik, T., Minkov, E., Nocera, S., Grant-Muller, S., Gal-Tzur, A., & Shoor, I. (2017). Automating a framework to extract and analyse transport related social media content: The potential and the challenges. Transportation Research Part C: Emerging Technologies, 77, 275-291. Kumar, S., Zafarani, R., & Liu, H. (2011, August). Understanding User Migration Patterns in Social Media. In AAAI (Vol. 11, pp. 8-11). Lassen, N. B., Madsen, R., & Vatrapu, R. (2014, September). Predicting iphone sales from iphone tweets. In Enterprise Distributed Object Computing Conference (EDOC), 2014 IEEE 18th International (pp. 81-90). IEEE. Lomborg, S., & Bechmann, A. (2014). Using APIs for data collection on social media. The Information Society, 30(4), 256-265. McCormick, T. H., Lee, H., Cesare, N., Shojaie, A., & Spiro, E. S. (2017). Using Twitter for demographic and social science research: Tools for data collection and processing. Sociological methods & research, 46(3), 390-421. Odlum, M., & Yoon, S. (2015). What can we learn about the Ebola outbreak from tweets?. American journal of infection control, 43(6), 563-571. Oh, C., Roumani, Y., Nwankpa, J. K., & Hu, H. F. (2017). Beyond likes and tweets: Consumer engagement behavior and movie box office in social media. Information & Management, 54(1), 25-37. Poell, T., & Borra, E. (2012). Twitter, YouTube, and Flickr as platforms of alternative journalism: The social media account of the 2010 Toronto G20 protests. Journalism, 13(6), 695-713. Pournarakis, D. E., Sotiropoulos, D. N., & Giaglis, G. M. (2017). A computational model for mining consumer perceptions in social media. Decision Support Systems, 93, 98-110. Ravindran, S. K., & Garg, V. (2015). Mastering social media mining with R. Packt Publishing Ltd.
Russell, M. A. (2013). Mining the Social Web: Data Mining Facebook, Twitter, LinkedIn, Google+, GitHub, and More. " O'Reilly Media, Inc.". Sanders, R. (1987). The Pareto principle: its use and abuse. Journal of Services Marketing, 1(2), 37-40. Sert, A. G. F., Tüzüntürk, S., & Gürsakal, N. (2014). NodeXL ile Sosyal Ağ Analizi:# akademikzam Örneği. van der Meer, T. G., & Verhoeven, P. (2013). Public framing organizational crisis situations: Social media versus news media. Public Relations Review, 39(3), 229-231. Weinberg, T. (2009). The new community rules: Marketing on the social web. " O'Reilly Media, Inc.". Xiang, Z., Du, Q., Ma, Y., & Fan, W. (2017). A comparative analysis of major online review platforms: Implications for social media analytics in hospitality and tourism. Tourism Management, 58, 51-65. Ye, L., & Ki, E. J. (2017). Organizational crisis communication on Facebook: A study of BP’s Deepwater Horizon oil spill. Corporate Communications: An International Journal, 22(1), 80-92. Zafarani, R., Abbasi, M. A., & Liu, H. (2014). Social media mining: an introduction. Cambridge University Press. Zimbra, D., Fu, T., & Li, X. (2009). Assessing public opinions through Web 2.0: a case study on Wal-Mart. ICIS 2009 Proceedings, 67.